Updated March 8, 2011: Permission is no longer necessary to approve answers. If you run into problems approving answers to questions you have asked, please contact us directly. Updated July 15, 2010 5:11 PM: Permissions to approve answers must be granted. Each day, our forums are chock full of new questions. Thanks to each of you, these questions don’t go floating off into the oblivion of the Internet, but rather they get answered, discussed and solved. But much like history, IT-related problems tend to repeat themselves and old questions can continue to help stumped IT pros long after the original inquirer has moved on. One way to maximize the saving powers of older questions is to approve the answer that worked for you. It’s always great when multiple members get in on a discussion, offering ideas and methods, but this can cause confusion in future readings of the thread. If you’ve asked a question and you’ve received a suggestion that worked for you, approve the answer by clicking the gray check mark next to it! Not only will you pass along community love, you’ll give us a heads up to approve the answer for future users. Plus you get Knowledge Points if your answer is approved! (Knowledge Points can get you all kinds of goodies: Amazon Gift Cards, contest prizes, or good old-fashioned street cred.) 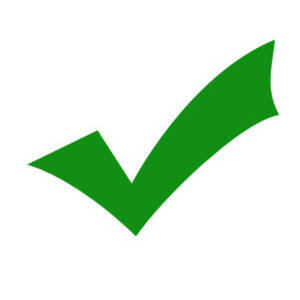 Approved answers show up in the Answers Wiki with a big green check mark next to it and, in case that isn’t prominent enough, a large Approved Answer stamp. If you have any suggestions or questions, send them over! Reach me via email at Melanie@ITKnowledgeExchange.com, in the comments section or by submitting a question in the forum. Happy answering (and approving)! So, most users are probably not being able to aprove answers to their questions because, as Tom, they don't see the check mark; but even if the check mark were visible, I think it would be more intuitive having a button saying "Approve this answer", or in any case, including that text as a label for the check mark (currently, there is only a tooltip expaining the check mark usage). Thanks for bringing this up. I was having the same problem and assumed only administrators could approve answers. Has this been fixed? Are you using this feature? Is so, How do you determine who gets the check? I have some answers where requested has stated my answer resolved their issue, but never got the check.